Toyota City, Japan (April 10, 2014) ― Toyota Motor Corporation aims to further increase the environmental performance of its vehicles with a series of newly-developed, highly fuel-efficient engines that achieve outstanding thermal efficiency1. The new engines leverage combustion and loss-reduction technologies Toyota has refined in its dedicated hybrid engines, and will achieve fuel efficiency improvements of at least 10 per cent2 over current vehicles. The engines will be used in models scheduled for partial redesign in the near future, and a total of 14 new engine variations will be introduced globally by 2015. 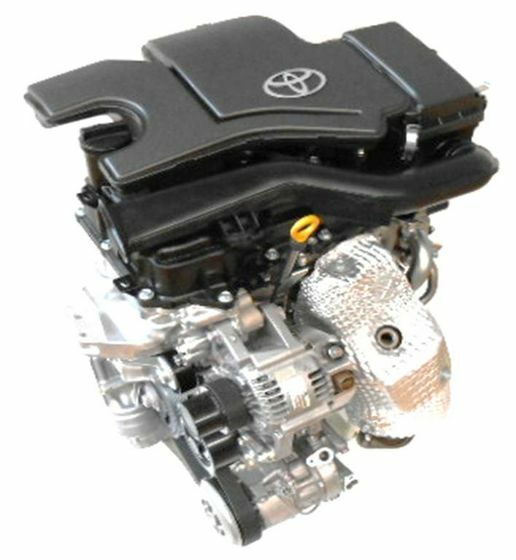 One of the engines is a 1.3-liter gasoline engine in which Toyota is employing the Atkinson cycle3 — normally used in dedicated hybrid engines. Use of the Atkinson cycle provides an increased expansion ratio and reduces waste heat through a high compression ratio (13.5), resulting in superior thermal efficiency. 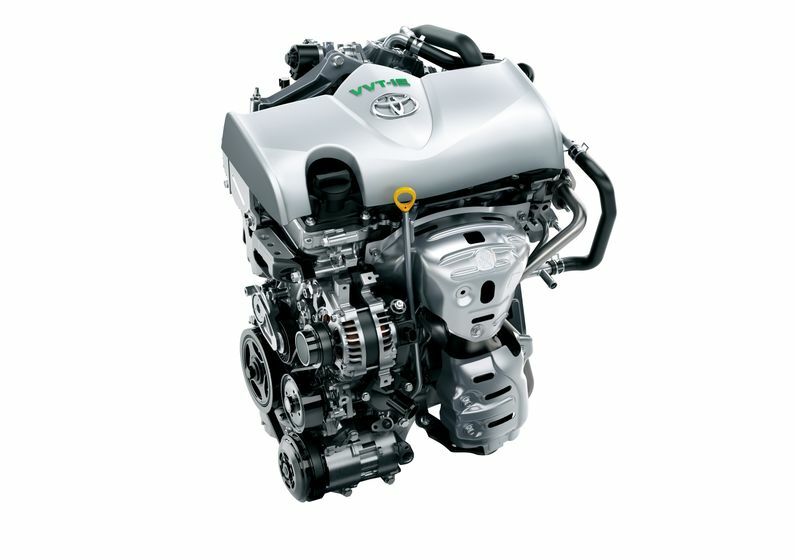 Toyota aims to further improve the fuel efficiency of the engine by utilizing other innovations including an intake port with a new shape that generates a strong tumble flow (whereby the air-fuel mixture flows in a vertical swirl) inside the cylinder, and a cooled exhaust gas recirculation (EGR) system paired with Variable Valve Timing-intelligent Electric (VVT-iE) technology to improve combustion and reduce loss. As a result, the new engine will have a maximum thermal efficiency of 38 per cent4 — top-level among mass-produced engines. The new features, combined with idling stop and other functions, will lead to fuel efficiency gains of approximately 15 per cent2 by comparison with current vehicles. Meanwhile, a 1.0-liter engine jointly developed with Daihatsu Motor Co., Ltd. has achieved maximum thermal efficiency of 37 per cent4 due to a similar tumble flow-generating intake port, a cooled EGR system, and a high compression ratio. Combination with the idling-stop function and various other fuel consumption reduction technologies allows vehicles to achieve a maximum fuel efficiency improvement of approximately 30 per cent2 over current vehicles. 1Numerical expression showing how much of the thermal energy generated by burning fuel is converted into effective power. The higher the thermal efficiency, the lower the fuel consumption. 2Under the Japanese Ministry of Land, Infrastructure, Transport and Tourism's (MLIT) JC08 test cycle. 3Combustion cycle in which thermal efficiency is improved by making the expansion ratio larger than the compression ratio, thereby improving fuel efficiency.